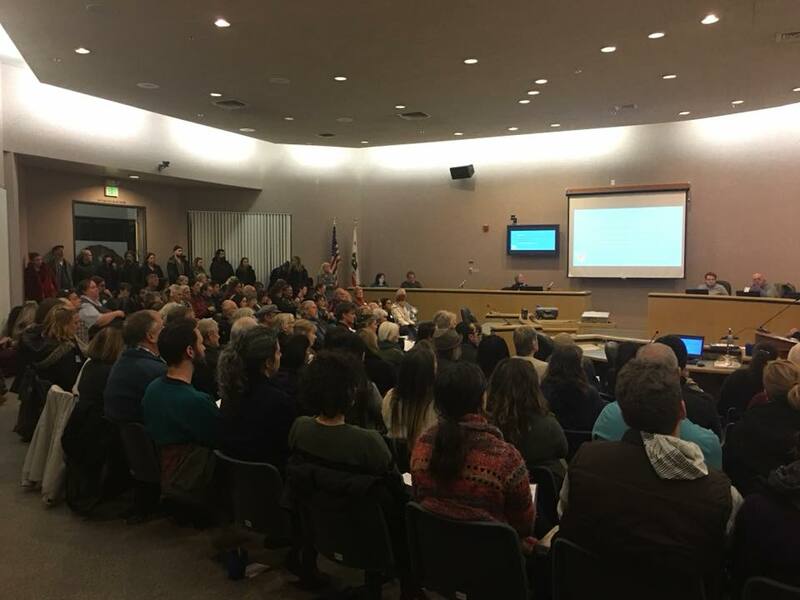 An inquisitive and engaged crowd of artists, residents, and local civic and political leaders filled the Rood Center in Nevada City on Thursday night to show their support for Grass Valley-Nevada City becoming one of 14 state designated Cultural Districts, a high honor. Truckee also is one of the state Cultural Districts, a coup for Nevada County. The standing-room only crowd heard a presentation from leaders of the Nevada County Arts Council about the new five-year designation. 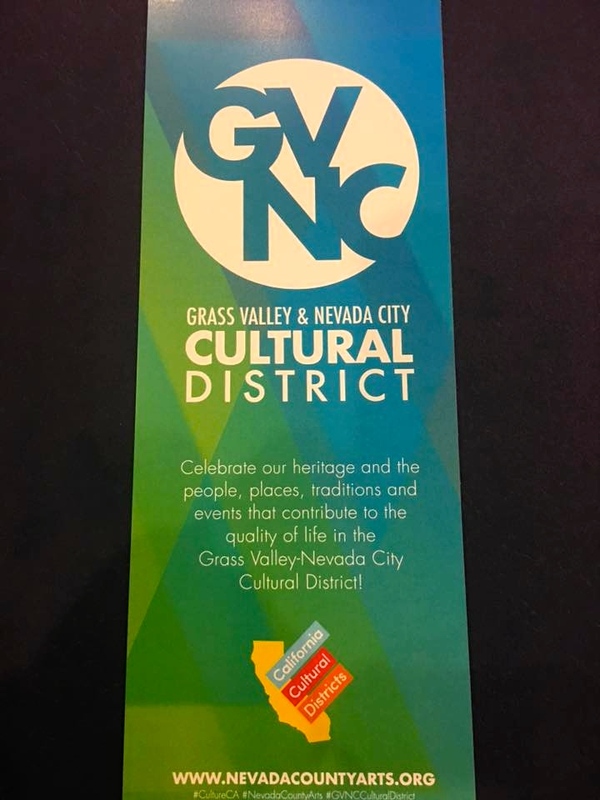 A new logo and hashtag “#GVNCCultural District” was rolled out as part of a grass roots marketing campaign to help showcase western Nevada County to the rest of California — and the world. The statewide “Visit California” tourism website will promote each cultural district, along with other media. The Arts Council also showed a refreshed website at the public stakeholders’ meeting. Arts leaders answered questions from the audience about the pilot program of the California Arts Council. The theme was one of collaboration. Council members from Grass Valley, Nevada City and Nevada County, and the Chambers of Commerce, were all present. We were pleased to see County Supervisors Heidi Hall and Dan Miller, representing their respective districts of Nevada City and Grass Valley, among others. The group also saw Image Nation — an exhibition of work by and for veterans at the Rood Center that opened this month. Image Nation is an initiative of the Arts Council in partnership with Welcome Home Vets. Through workshops with photographer and United States veteran Michael Llewellyn, veterans have created exhibitions of work that have been shared in public spaces, including the Rood Center and Truckee. We were pleased with the turnout. 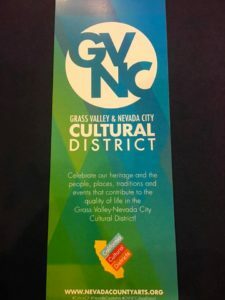 Our magazine contributed to the application for a Cultural District (“Our partners were able to draw upon a narrative relating to Grass Valley and Nevada City’s extraordinary cultural heritage, thanks in part to the lifestyle magazine, Sierra FoodWineArt,” as Art Council Executive Director Eliza Tudor said in July). Our magazine has promoted the designation in our recent issues (here on the cover, here and here), and on our mobile-friendly website. We promoted tonight’s stakeholder meeting on our blog. We also published the inaugural Nevada County Visual Artist & Gallery Guide for the Art Council, and appreciated the recognition in the Council’s new annual report. The County Economic Resource Council also was praised. As local publishers and residents, we look forward to supporting the Cultural District program as it rolls out further, shining a light on our region. One of our magazine’s themes is that arts and cultural can be an economic engine for regions such as ours, and this program can be a catalyst.